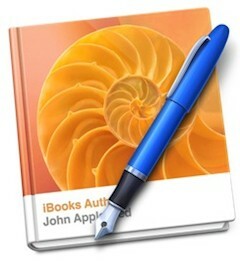 If you missed Apple’s big announcement about it’s new textbook publishing platform recently, you’re not alone. Without the hoopla of a major device launch the textbook publishing announcement didn’t get the attention of the average consumer. But buried within the announcement was a nugget that could be a very valuable tool for membership site owners. Apple unveiled a new publishing platform, iBooks Author, which on the surface appears to be something only educators would find exciting. Not so. This easy to use publishing tool gives everyone the ability to create media rich, Multi-Touch content that takes full advantage of the multi media capabilities of the iPad. Anyone who can create a Powerpoint presentation can easily create media rich books that contain video, photo galleries, interactive photos (very cool), Keynote animation and interactive quizzes. I see this as a potential replacement for many small membership based modular courses…and then some. Create a mini version of your membership site and give it away free (in exchange for joining your e-mail list). Publish iBooks about related topics to generate an ancillary revenue stream. 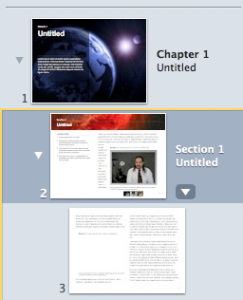 Just today I found another collection from iBook Author Templates. These are a little pricier at $19.95 each, but they are very well done. And just yesterday Graphic Node introduced a collection of 50 templates for $12.99 each. This is only the beginning. Under Apple’s EULA (End User License Agreement) you can distribute free versions of your iBooks any way you wish. However paid versions (and those part of a subscription) must be sold through the iBooks store. So be sure to read the license agreement carefully before you get in too deep. Speaking of the iBooks store, you must open an account to publish books on the site. The application process is pretty easy, but you must have a US tax ID number (either social security number or EIN). Then you must obtain an ISBN number for each book you sell…at a cost of $125 each when purchased one at a time trough Bowker. If you plan to publish multiple titles pries drop significantly. For example 10 ISBNS cost $250 and 100 are $1,000. This can be a pretty big hurdle for casual publishers. Application approval is pretty fast. Mine came through in just two days. The iBooks platform isn’t for everyone. Although Apple has reportedly sold over 50 million iPads, that leaves a big chunk of the market that won’t find it useful. Fortunately iBooks Author can export to PDF as an alternative…without the rich media of course. I plan to give it a try soon to publish an interactive tutorial about organizing and classifying membership site content. We’ll see how it goes.